Five strangers, lost underground during a guided tour of some catacombs, find their way into a stone crypt. The door closes behind them locking them in with Sir Ralph Richardson clad in a monkshood. 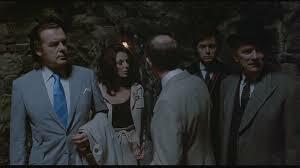 The crypt keeper (Richardson) commands them to sit and proceeds to tell them why he’s summoned them. This anthology horror film brought to you by the good folks at Amicus Productions consists of five stories originally found in the comic books of William Gaines. Written by Gaines, Al Feldstein, and Johnny Craig and adapted for the screen by Milton Subotsky, Tales from the Crypt was the fourth portmanteau horror film made by Amicus. Patterned after the Ealing Studios’ 1945 film Dead of Night, the popular films told each character’s separate horror tale to its captive audience. Did anyone see an ant? The first story, “And All Through the House” stars Joan Collins, domestic bliss, and Santa. In “Reflection of Death”, Ian Hendry kisses his wife and kids and goes for a ride. “Poetic Justice” stars Peter Cushing as a sweet old man grieving the death of his wife. He loves children and dogs and has nothing but good on his mind. His evil neighbors find his quaint ways too messy for their fashionable neighborhood. “Wish You Were Here” is a modern take on W.W. Jacobs’ story “The Monkey’s Paw”. 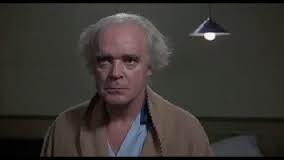 The final tale, “Blind Alleys” stars Patrick Magee and Nigel Patrick in a memorable segment which reminds you about that thing they always say about karma. Even my kids think I’m creepy. Full of hyperbole and graphic violence, the stories’ comic background give the film a theatrical flair. They pull you in and the performances ground the film. 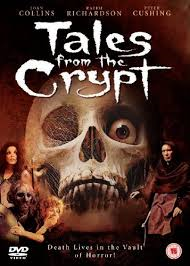 Full of seasoned actors, Tales from the Crypt is believable in spite of its over the top storylines. Freddie Francis, who won two Oscars for cinematography (Sons and Lovers, Glory) and many British and European awards and nominations for films like The Elephant Man and Cape Fear directs this film as a straight horror/thriller and can ratchet up the suspense when he has to. He trusts his cast of veteran character actors to come through and they do. Joan Collins goes a bit over the top in her segment, but that’s why we love her. I’ve long been a fan of anthologies and Amicus knows how to make them. Hammer gets all the glory, but I prefer these lower budget stories. 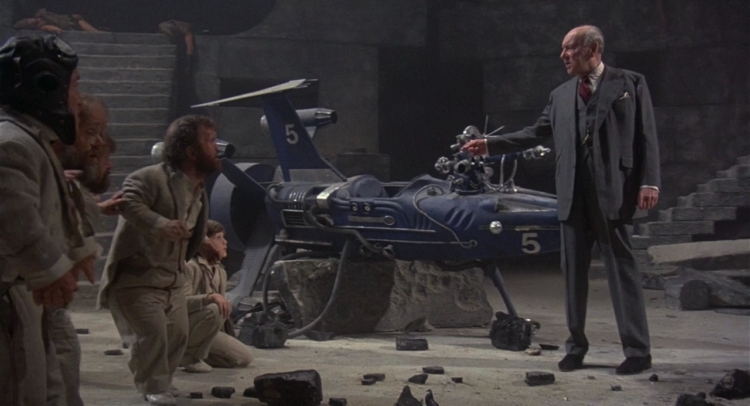 We’ve seen the actors before and the sets are recycled, but the stories are a lot of fun. 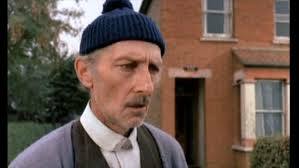 In reading about this film I found out that Peter Cushing wanted the part of Arthur Grimsdyke. Originally cast in “Wish You Were Here”, Cushing requested that he play the part of the kindly widower instead. He had just lost his wife in real life and was instructed to play himself. It’s a sweet role. If you like anthology horror as much as I do, please check out my review of Vault of Horror also on this blog. Oh I almost forgot. 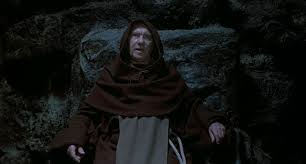 My favorite part of Tales from the Crypt was when the crypt keeper, Sir Ralph Richardson first appeared and my teenaged daughter said, “Hey, is this Time Bandits?” Smile-inducing. Clean up all this evil.